During the course of my research about Astaxanthin, I found out to my delight that the ingredient not only protects our skin against the sun when applied topically, it can also provide significant benefits to UV damaged skin, including reduced wrinkles and younger appearing collagen. In fact, a study had shown that topical Astaxanthin acts as an effective “skin whitening agent”, reducing melanin by 40 percent, and greatly reducing freckles as well as age spots (source). 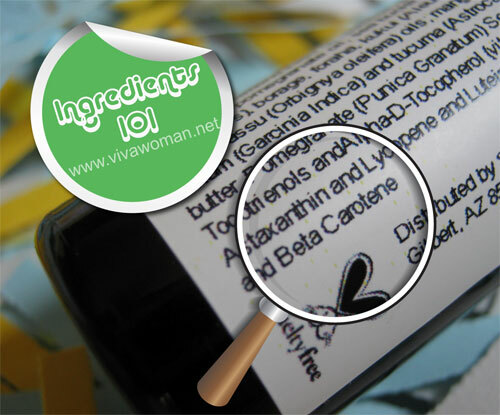 And as I set out to hunt for this ingredient, I realized that I had already used a product containing this ingredient without being aware of it until now! Astaxanthin is one of the ingredients in the Marie Veronique Organics Sun Protection Oil, which I was using for some months last year. I had like the oil and was planning to repurchase it later. However, in my search, I found the raw ingredient instead at SkinActives and planned to get that one since it is a lot cheaper! According to the information at SkinActive’s website, Astaxanthin serves as an extremely powerful antioxidant due to its particular molecular structure. It has a very effective quenching effect against singlet oxygen, a powerful scavenging ability for lipid and free radicals and effectively breaks peroxide chain reactions. Natural astaxanthin has been shown to be a potent antioxidant over 500 times stronger than vitamin E and 10 times stronger than beta-carotene. Astaxanthin has also been shown to enhance and modulate the immune system. These effects in combination or separately may reduce the acute inflammation reaction of the skin and tissue just beneath the skin that follows excessive exposure to UV radiation. Eventually, instead of getting the raw ingredient, I decided to get two of their ready-to-use products containing Astaxanthin as they seem good value-for-money. One was the Antioxidant Booster, in which Astaxanthin is a key ingredient, and the other is the EMUlator, which also contains Astaxanthin in smaller amount. 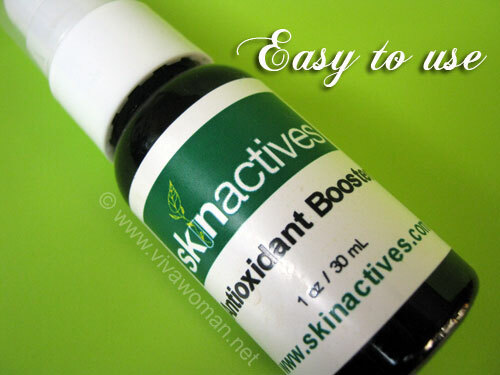 The 30ml Antioxidant Booster cost US$17.50, while the 15ml EMUlator cost just US$5. The shipping was pretty affordable at US$10. The Antioxidant Booster contains Pomegranate (Punica Granatum) Seed Oil, Tocotrienols, Alpha-D-Tocopherol (vitamin E), Astaxanthin, Lycopene, Lutein, Alpha Lipoic Acid, and Beta Carotene. On its own, Astaxanthin is very concentrated and I imagine, extremely difficult to use. Even the Antioxidant Booster is a dark orange and when mixed with my sunscreen, is still difficult to wear on the face in the day. So what I do now is to use the mixture first and then apply another layer of the sunscreen over to conceal the orange-yellow tone. In the night, I use the Antioxidant Booster together with two drops of the EMUlator and my face don’t look too orange or yellow in tone. Anyway, the color is temporary and my skin looks fair again in the morning. Interestingly, I am now able to use the Petite Marie Organics Ounce Of Prevention Mineral Anti-Aging Sun Cream SPF 30+ comfortably with this Antioxidant Booster, when I’ve previously complained that the sun cream was drying. So that’s working really nicely for me now. I like these products I’ve purchased from SkinActives very much. Not only are they affordable, they work well for my skin as I notice that my skin appears dewy each morning. As mentioned in my post about oral Astaxanthin, I’ve noticed that some of my pigmented spots have lightened and even my skin tone appears a shade lighter and so I believe it maybe the combination that is causing this. Anyway, I’m definitely going to continue using the Antioxidant Booster with Astaxanthin in the day. And those of you who are well versed with using oil in your daily skin care should find this product, or even Astaxanthin on its own useful. Just a drop is all you need in each application. Others who are adventurous enough can try to do what I do – mix a drop into your usual moisturizer for that added protection against the sun. Previous Post: « Share: would you consider permanent makeup? What do Antioxidant Booster and EMUlator smell like? 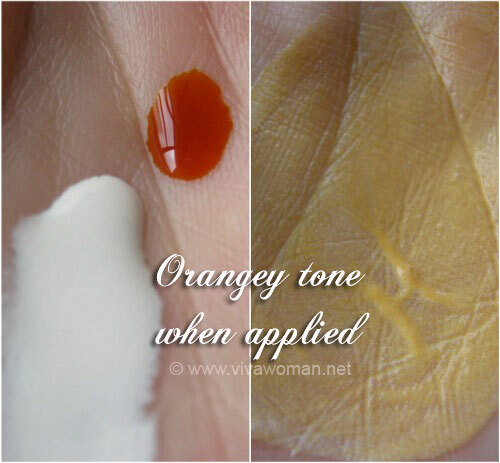 Agree with you, it would be better to mix a drop into any moisturizers / sunscreens so it doesn’t look orange/yellow. The prices are so tempting right? The Antioxidant Booster has a very mild smell that I can’t describe…nothing fishy or unpleasant/ As for EMUlator, it smells like emu oil. indeed, the prices are absolutely tempting that’s why I purchased them today, hohoho! 😀 Whew, glad the Antioxidant booster doesn’t smell fishy. I just received my supplement & can’t wait t0 p0p them. Haha. Fyi, i ch0se the vegetarian versi0n. I als0 kinda agreed with Miss Vinny remarks, c0z when i sent them an email regarding the applicati0n 0f the hair serum i b0ught, their reply was rather unfriendly im0. Oh that’s good…at least I’m glad the products are working well on you. Hope the oral Astaxanthin will work well for you too. They’re not too friendly? Hmm…not too sure. 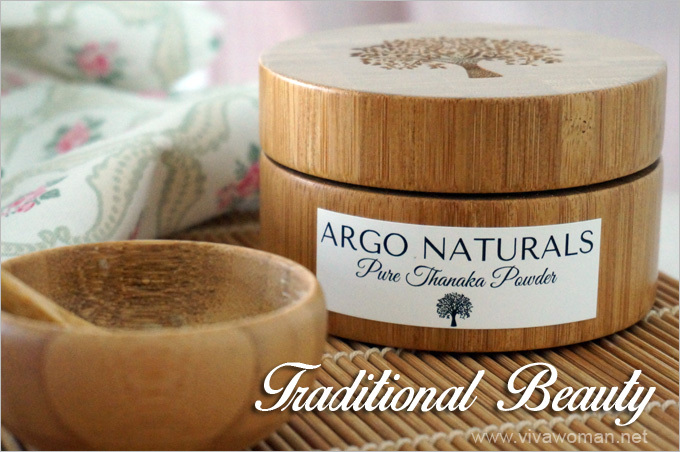 They wrote to me after I reviewed this (I bought these myself) and offered to send me more of their products to try. So can’t say much cos haven’t experience asking them anything more. Had a quick look at the Skinactives website — wow, it’s really cool!! So many raw ingredients for DIY, and a lot of informative stuff too!! I just wish I had more time to read up, learn and experiment with all these… And ya, the prices are really tempting!! Not to mention flat worldwide shipping rate of USD10 – very reasonable!! aibicon: You got Sweetsation stuff too? Haha…but this ones can be used along so not quite an issue. There’s always a right time to get new stuff…try it later when you’re more comfortable cos it’s no point getting now and then having more products go to waste too. Hohoho…spree will save a lot in terms of shipping since it’s a flat rate! Though I’ll take some time to think if I’ll order from them. 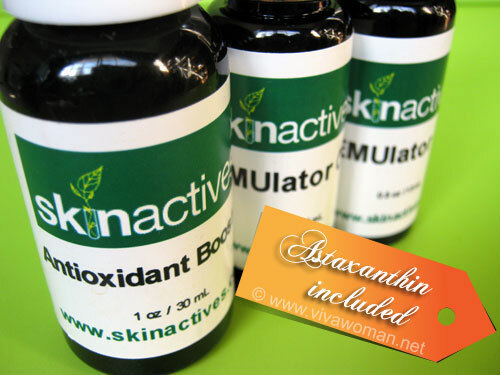 I’d heard about SkinActives from quite some time ago but put off ordering from them. I’ve heard that people who asked certain questions about sensitive skin or information that wasn’t tolerated, were banned or deleted. I even heard that some of their posts were removed. 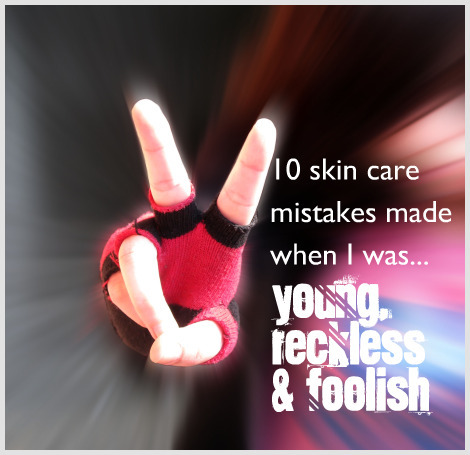 I’ve been a bit apprehensive since it would be difficult to find out if a product was really suitable for sensitive skin or if it could be used in conjunction with certain other products(not necessarily from SkinActives). Ah well, I posted a question on their forums and my post was deleted. Not going to ask her why. Also, some of my questions were never answered to: hopefully, they aren’t hiding anything. Very very strange. But well, if that irks customers, all I say is it’s the company’s loss cos customers will take their money elsewhere. =) Goes down on my to-purchase list. Thanks so much for this post. I didnâ€™t even know this website. I have just ordered the ELS Serum, which has the same composition as your Antioxidant Booster with just a few more antioxidants added. And I got the pure Astaxanthin, to add a drop to my own serums. I am so much looking forward to receive them. And I also ordered some vitamins with Astaxanthin from Vitacost following your post of the other day. Thanks again. When something reduces the melanin in your skin doesn’t that make you more sun sensitive? Very interesting question and you’re right in that deduction. I understand that some ingredients block the production of melanin and also destroy the skin’s melanocytes, and that causes the skin to become extra sensitive to the sun. However, based on the studies I’ve come across (although I have to add they’re not extensive cos the research are all pretty new), Astaxanthin doesn’t seem to destroy but provide skin from photodamages due to its antioxidant properties. It’s always good to wear sunscreen when using anything in the day but if you’re concern, then I suggest using this at night only. I’m looking for something that can lighten my skin tone. And when I read this post, BINGO! But too bad that I still have more than 2/3 of MVO sun protective oil and one face cream to go… I will keep the products in mind though. The Antioxidant Booster is quite orange-y and I have tried it with MVO Facescreen and it turned out quite well for me. But your face may be slightly yellow if you just wear it alone. For vitamin C, I would recommend you using in the night instead. Oh thanks for responding. I would defenitely use the antioxidant booster mixed with the oil and then the MV organics over it. Excited to try it out, will let you know how it works on me. Thanks! I third the complaints about Hannah. Too bad some of SkinActives’ products are great but she’s really hard to deal with. In 2009, I registered at their forum and she demanded to know what my occupation was. Citing privacy concerns, I declined to specify and asked her why. I never received an explanation and was banned. When I made a second account, I was yelled at and banned again. Someone was scolded harshly for discussing about accupuncture on her forum because accupuncture is “quackery”. Another was banned because they complained some product inflammed her eczema and her post was deleted. After receiving antagonistic replies to my qns about some cleanser and serums, I now only buy from GOW or NCN Skincare. Markey is much nicer and doesn’t ban people on a whim. I don’t care whether it’s science or organic or natural, as long as something works for me, I’m satisfied. I don’t like dealing with arrogant people especially if they own the company. It’s also arrogance like hers which gives a bad name to scientists. I see…I can see why you won’t buy from them and I wonder why the “harsh” treatment of customers/forumers. But so far, I’m liking their stuff and I have not asked them anything so we’ll see…But I plan to give other suppliers a try too. I buy from GOW through sprees here and have not bought from them personally. Ah…I really wish we have more DIY ingredient suppliers. Those I deal with in Singapore are either expensive and limited or their service are so unreliable! Btw, sorry if I end up copying some of the commenters’ writing styles in my other post. My English is actually very poor but right now, I don’t have time to edit grammar and make it better. Uhm I was really very mad when a lot of posters were banned for violating rules no one knew about. The way they are treated, it’s as though the company doesn’t respect the customers much and value the products over them. I was also on some psychiatry medication and warned by the doctor to be careful about some side effects and reaction even to skincare products. Hannah never replied when I asked her about some product, in regard to this. In the end, I gave the products to my sister as I was afraid I could get very bad skin inflammation or other problem. Oh don’t worry about English and so forth. I make mistakes too when I blog. Yah, it’s me, not Miss Rachel. Gosh! If I ever lend her the laptop again, think gotta make her use another browser… lol. That turned out to be super confusing since I wasn’t around to help her. Yep, totally agree Singapore has very poor stockists. >_< I'm a bit sad since this country used to even have rubber plantations and farms! Totally wish we didn't have so many shopping centres since they're a waste of space. Have also noticed that the hydrosols I purchased from GOW are much more concentrated, so it's okay to use less. I like that – shopping centres a waste of space! Agree! And have you seen the prices of hydrosols at Skin Pharmacy? Crazy I tell you. Oh your friend is Miss Rachel? Haha…say hello for me. I remember some readers mentioned to me that they used to see different names when they started commenting on my blog and they were not using shared laptops or PCs. Don’t know what is the problem. But in your case, I suppose it’s cos it’s the same browser with the same cookie. Oops, Miss Vinny is actually my friend and I borrowed her computer. Sorry, accidentally posted as her. Currently living in Singapore right now for a few weeks and just got to know about your blog. just go the products i ordered from Skin Actives…I ordered a few weeks after your post. Oh great…hope they work well for you. I received another batch from them and really liking most of the stuff. I got the lip balms but haven’t tried them yet. Just wanted to check how long was it before ur shipment reached u? Did u get it by courier or was it just deposited into ur postbox? 1) with the antioxidant booster, do you still need sunscreen? As the astaxanthin will shield you from UV harm right? 2) Can I use the astaxanthin capsule from Bioastin and apply it on my face? Is it the same thing? Yes you do. It has some protection but may not be too high. I believe you can use the astaxanthin capsule but it’s going to make your face brown and fishy smelling.